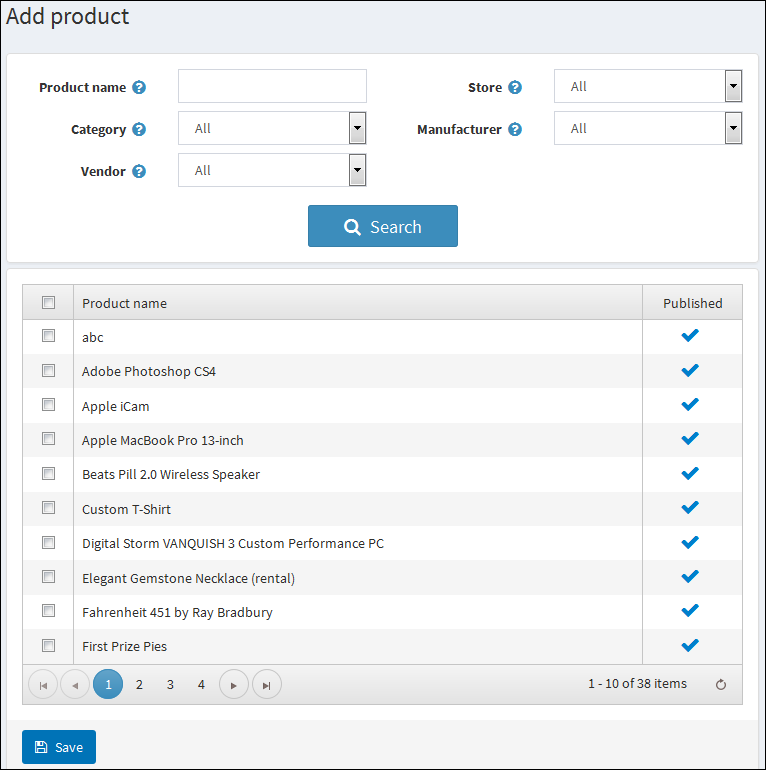 You can add one or more products to the bundle by checking the check-box(es) of the product(s) you want to add. You can filter the products by the fields provided above the list. It is already added to the bundle. It is the base product of the bundle. It is a grouped product. If you are logged in as vendor, the product you are searching for is not your product.